I love a great dupe! The sense of satisfaction I have from finding one compares to no other so when I ordered some items from the new H&M beauty line including this face primer I was ecstatic that I had found a dupe of one of my go to face primers. H&M have completely revamped their beauty line and I could not be more impressed with the items if I tried! I’ve managed to pick up several of their items and will be reviewing them on the blog and my YouTube very soon but spoiler alert – I’m loving the products for the price! 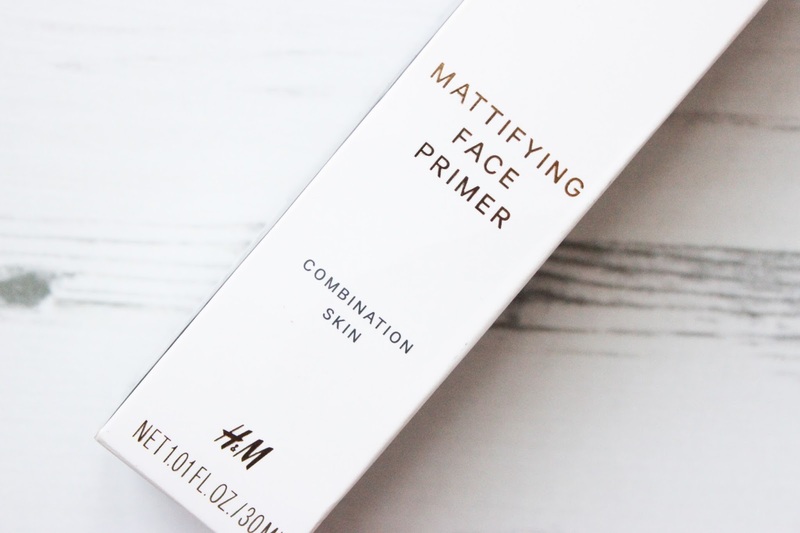 The only face primer H&M currently offer is the Mattifying Face Primer | £7.99 for combination skin. 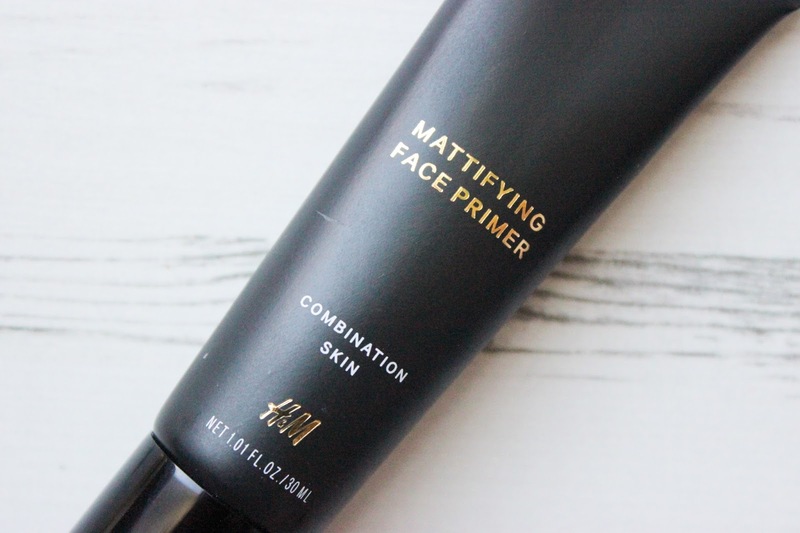 I snapped this up straight away as I have combination to oily skin and I’m always on the hunt for that perfect primer. First off let’s compare the ingredients list of the two. Water (Aqua), Magnesium Aluminum Silicate, Phenoxyethanol, Ethylhexylglycerine, Butylene Glycol, Enantia Chlorantha Bark Extract, Oleanolic Acid. Aqua (Water), Magnesium Aluminium Silicate, Propylene Glycol, Phenoxyethanol, Methylparaben, Propylparaben, Butylene Glycol, Enantia Chlorantha Bark Extract, Oleanolic Acid. With the exception of Methylparaben, Propylparaben and Propylene Glycol the ingredients lists are identical. Once again identical, both primers have a thick lumpy gel consistency (I know that sounds gross – sorry) which thins out once applied since both are water based products. Use sparingly and I mean sparingly, a 1p piece for oily areas of the face only (applying to dry areas will cause your foundation to stick to and highlight the dryness) and allow to dry. DO NOT APPLY TO YOUR ENTIRE FACE. Do not rub this into the skin, use a patting motion and stop before you feel the product getting tacky. Rubbing this into the skin will cause the primer to lift off into rubbery residue on the skin which will ruin your base and you will need to start again. Once applied, this will dry on the skin, if you are of my complexion or deeper this will cause a white cast on the skin that will fade when you apply your base. I can proudly say that the H&M primer does a fantastic job of keeping oil at bay for me and at minimising the look of pores! I can go for around 6 hours without having to blot but I do take further measures such as setting powders and matte finish foundations. All in all for £7.99 you’ve bagged yourself a bargain compared to the BECCA Ever-Matte Primer. Yes, you get 10ml more with BECCA but I do not feel that it warrants the extra £20. Will I be repurchasing the BECCA primer? It honestly pained me to buy it in the first place so to find a much cheaper alternative has been a God send. If you want to check out the new H&M beauty range you can shop online or visit their flagship store in Oxford Circus. Have you tried anything from the new H&M Beauty line? Do you use the BECCA Ever-Matte primer? Wow I didn't expected to H&M to be that good. I love the BECCA one but will have to try the cheaper alternative. I would definitely recommend checking this out! I think you'll love it too! So have I! Totally impressed! The quality is pretty amazing when you take into consideration the price! You can order online my love, or if you want I can pick it up for you and send over! Just let me know! Wicked! I've been umming and ahhing about getting the Becca primer and had only just resolved in my heart to take the plunge but then I saw this! Hallejulah! May the makeup gods smile upon you and bestow a thousand blessings. Preferably the makeup kind!! Thank you so much for this post! I was just about to purchase the Becca primer as my Makeupforever mattify primer completely failed me.